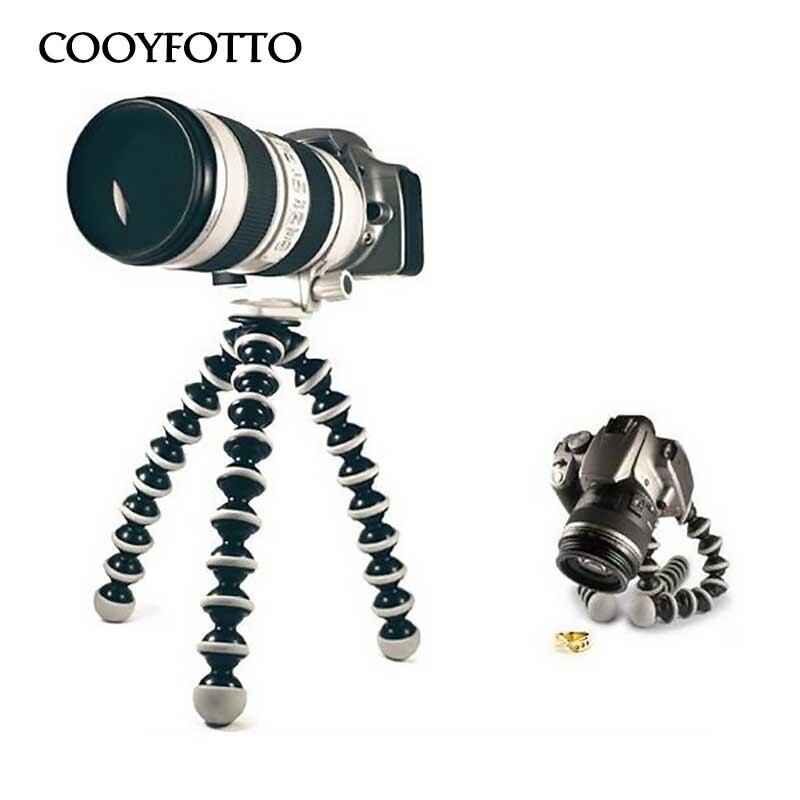 This versatile tripod is designed for use with cameras, camcorders, spotting scopes and other devices up to 10 lbs. Its legs are made of flexible rubberized segments that can bend and rotate 360 degrees, which allows it to be wrapped around trees, railings or branches and remain stable in rough, uneven terrain. 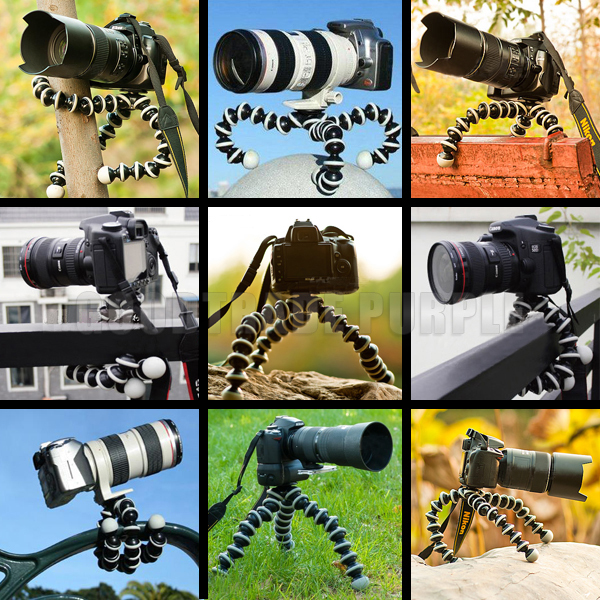 The foot grips on the legs allow you to steady the camera in adverse conditions for longer exposures. 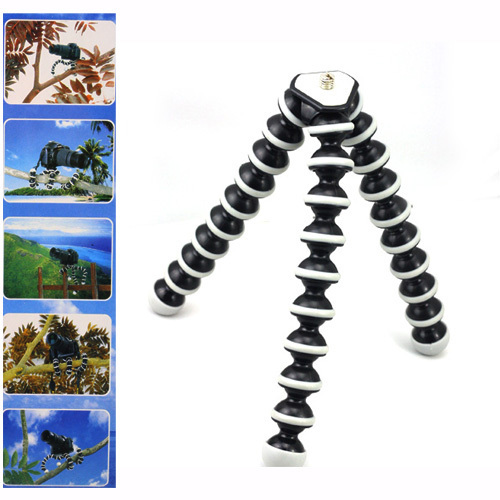 This tripod is extremely light-weight, yet durable enough to withstand years of use. 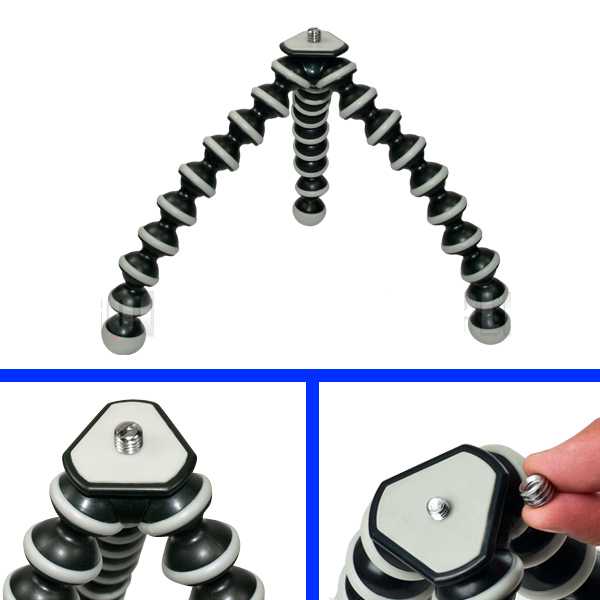 See the below images for examples of the tripod being used in real time. the screws and choose the correct size for mounting your device. Everything’s okay – shipping was fast (15 days to Croatia) and the product fits the description. You can unscrew the top if it’s too big for the hole, as there’s a smaller screw below it. It’ll serve its purpose as HTC Vive lighthouses stand well. Received today. Haven’t used it till but looks firm and perfect. In short, a good deal. Пришел очень быстро, не ожидал. Все как в описании. Держит зеркалку, не падает. На счет качества пластика точно не скажу, тут покажет эксплуатация. Рекомендую к покупке. Thank you for the the item. 30 days to lebanon including customs and post office.didnt try it yet and will update my feedback once i do. buen tamaño, algo duro como debe ser, NO tomó mucho tiempo en llegar, y viene con doble adaptador de Tornillo para distinto tipos de cámara… Encaja muy bien. Tanto en mi adaptador de celular como en mi camara Sony Slt a58. 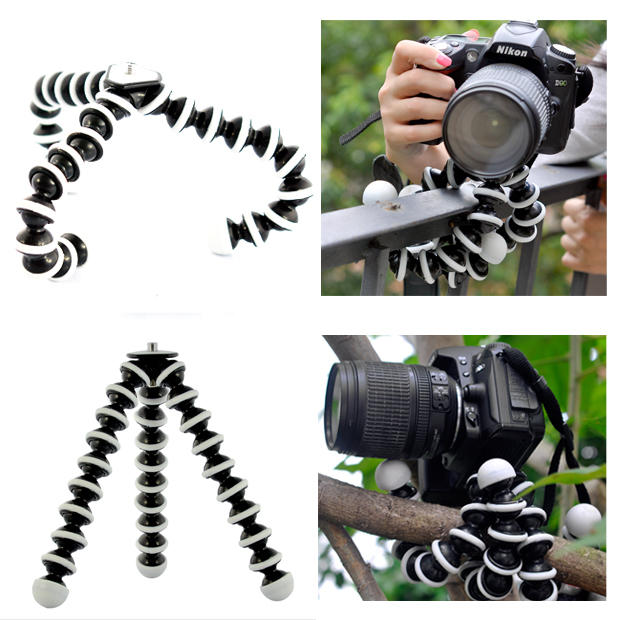 LOOKS” like good quality, sturdy AF, nice size.. doble joint for any type of camera… for price.. pretty dam good. Genial producto para cámaras reflex!! Se ha convertido en mi compañero fiel de fotografía, ya que siempre se viene conmigo, ya sea para hacer fotos por el campo y poder colocar la cámara en lugares complicados como para hacerme selfies en la ciudad! Trípode muy estable, perfecto para cámaras que pesen entre 1 y 3 kgs. Aguanta bien con lentes de 50-200mm. Asegúrate siempre de que has colocado bien las patas antes de dejar la cámara encima. Soporta bien los vientos suaves. Tardó sólo 8 días en llegar a España. Vendedor muy recomendable, compraré otros productos de fotografía aquí en un futuro. Получил, распаковал, попробовал водрузить держалку для телефона и расстроился – резьба больше, чем нужно. Собрался писать жалобу, однако потом остановился и прочитал описание. Верхняя резьба 3/8 откручивается и под ней обнаруживается искомая 1/4. Смотрите фотки и не повторяйте моей ошибки. didnt try to use it yet, but it look very good. Полностью доволен! Быстро доставили, фотик стоит отлично, гнется все прекрасно, фиксируется тоже хорошо. Единственное что болтик для фотика коротковат как по мне. Отличный прочный и гибкий штатив! Доставка меньше двух недель. Все отлично. Все соответствует описанию. Хорошо гнется.